If you've built a multirotor before you'll appreciate that there is a lot of wiring involved and it can be hard to keep all of it neat and tidy. This board has been designed to simplify the wiring and help keep it organised. It takes care of both power distribution and ESC signal wiring all in one neat package. 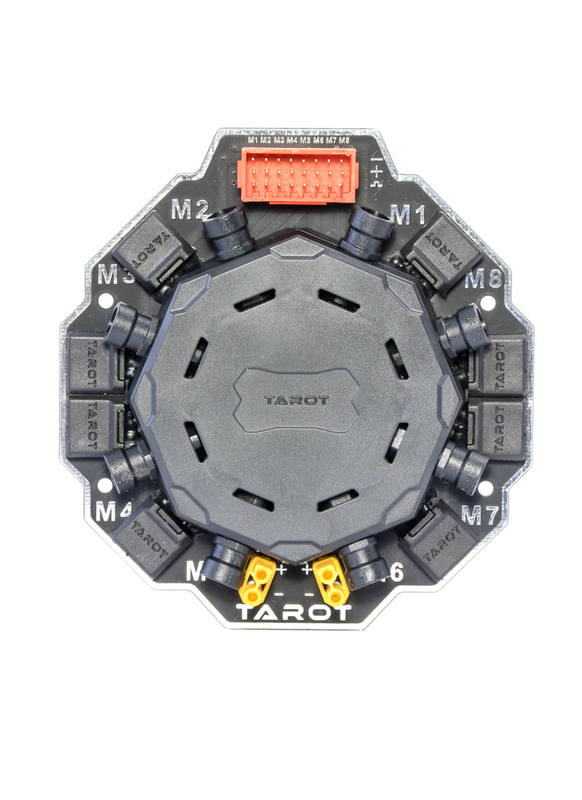 The board is designed for octocopters so it features eight ESC signal inputs labeled M1 to M8. The connections are outputted together respectively at the signal hub, ready for you to connect with your flight controller*. On the power distribution side of things, the board has eight coaxial power ports to power your ESC’s and a couple of XT30 connectors to power auxiliary devices like UBECs and FPV gear. The board comes completes with a full wiring harness. It comes with eight coaxial power cables and eight signal wires, ready for you to solder to your ESC's and then plug straight into the board. The cables are long; 66cm and 42cm respectively, so they have enough length if you prefer to mount your ESC’s under the motors away from the main frame. 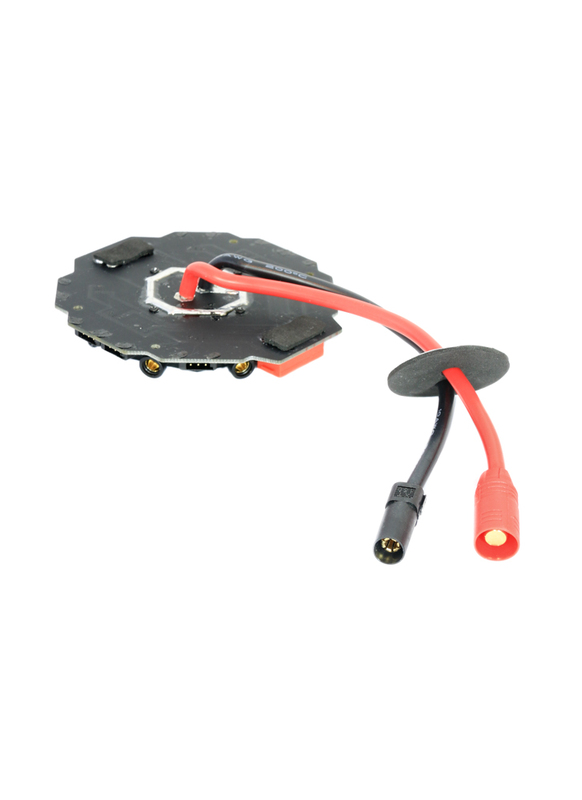 The package also comes with high current 10AWG power leads soldered to a 7mm gold plated Amass AS150 anti-spark battery connector. Finally, a foam adhesive pad is included which should be stuck to the back of the board to insulate it from your frame. *Important: The signal hub does not have a positive connection, only signal and ground connections. What amperage is this rated to? I haven't been able to find an offical figure. However, I've used it on 200+ amp setups.